Power up your life with a fun-yet-magically-rockin’ one-hour session of seventh dimensional healing and channeled divine guidance. We might work with Jesus and the giraffes to help you ground your highest vision into manifested reality. Or your higher self will mastermind with Joan of Arc and the dragons to create change in your life and the world. Mary Magdalene and the unicorns might step in to help you honor your true light and feel your magnificence down to your bones. Maybe a solid dose of love from Mother Mary and the otters or a blessing from the peacock for gleaming visibility in your life and big work in the world. 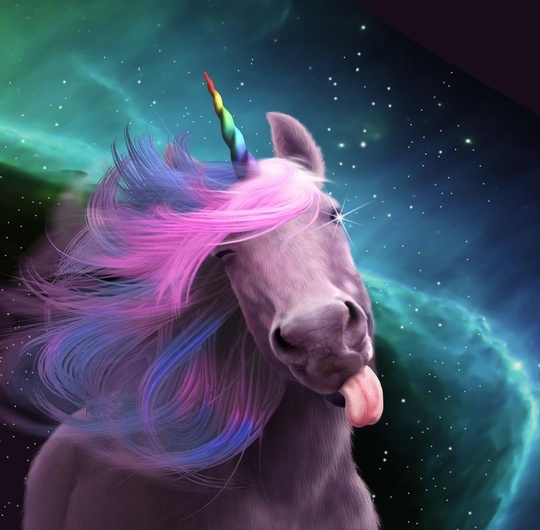 Why do we see so many unicorns requesting Snickers on Halloween and being blended into glittery frappuccinos? Because they’re so antsy to return to this world and help us awaken to our potential. We are here now to help you ascend - to your highest potential in this life, to your greatest learning. We assist in assembling all the wisdom of your oversoul to serve you in your mission here. To allow your brightest love and most divine partnerships. We can help you honor the arc of your lessons and timelines, allowing ease instead of pressure. Remind you how to see yourself in your fullest power, light, love and magnificence - to feel it, right down to your bones. We can help your biggest imaginings take form in the physical plane. We are here to ignite the fire burning in your belly - to create change, in your life and in the world. We are here to aid you in your quest. Your quest to be real, to honor both your humanity and your divinity, to learn new ways to experience love. To feel fully and engage deeply and revel in the joy that is your birthright. To create your highest vision, for your life and for the world. You are ready for more. You are ready to lengthen your neck and expand your gaze. You are ready to see from greater heights and with greater wisdom than you have yet experienced on this plane. Our medicine will help you do so. We help you ground your quantum visions onto this plane. Deeply support you as you draw your highest dreams, your new reality, from its space in between worlds to land here in the physical. Giraffes deeply want to help humanity ascend - and entertain us as we do. If you are sick of reality as you see it, if you are thoroughly exhausted by places in your life that feel stuck, feel the same - if you are ready to burn it all to the ground, call on the phoenix for a fiery rebirth into your true self, your true potential, your ultimate readiness to help the world regain its balance, its footing in the divine, that which has been lost for so long. "If you would like deep, fast guidance through the channel we have chosen to come forward, you can book a session with Amber. She serves as a bridge and a translator for our powerful energetic healing and the wisdom that wants to come through specifically for you." One-on-one sessions offer guidance through big challenges and a hefty dose of healing energy, channeled from the Magical Animals of Galilee and the Magdalena High Seven. You might release a thousand years of ancestral baggage, clear an obnoxiously persistent pattern, receive an activation of your creative genius, a golden light re-coding of your cells, or a powerful healing from ascended masters. Hanging out in this divine energy will help you feel so much better about whatever's currently showing up in your experience and offer you powerful next steps for moving forward. OKAY, I'M TOTALLY DIGGING THIS. HOW DO WE SET THIS UP? Pay for your session via the Book Now button. Answer a few questions about what you'd most like to explore and receive during our time together. I'll contact you within 2 business days (often much sooner) to schedule your session. Your session will be held in a private Zoom room, with audio only. Bonus, no need to worry about your hair! Your session will be recorded and sent to you. "I love Amber and believe in what she does - she has a true gift. If you're called to step into something big, consider her offering here. Amber has been supporting me, and I can't tell you the difference it has already made in my life. It's exactly what I needed and worth so much to me. Her channeling is one of the most useful things I've encountered, and I want it in my life all the time. She's such a clear channel." "I feel like this was a turning point in my life - the tools and the insights have made a difference in every single day since then. I've had a lot of fear around actually showing up in my life, and you've created a safe and loving space for me to explore and be supported and I will be forever grateful. Thank you for doing this work, and for being brave enough to share your light, - it's helped me so much to feel comfortable sharing mine!" "I feel a renewed sense of direction, and feeling so much lighter, happier and weepy all at once. That was such a beautifully guided/channeled experience. So much clearing done - wow! The first change I'm seeing is an improvement in my physical energy. After the channeling and both long distance healings, my barely-there energy levels have dramatically improved. And I don't feel guilty about having to focus on me. Just accepting completely that spiritual healing is a part of my journey and allowing myself to be led to whatever it might be in divine timing. It has lifted so much of heavy energy around me. I am grateful for having connected with you and your lovely gift. You have that ability to pass on messages the way each one of of us understands. It was really deep, powerful, clear, beautiful and healing. I couldn't have made a better choice of healer for it. Thank you." IF YOU'D LIKE A sample of MY WORK FIRST, TRY a few of the free weekly ACTIVATION VIDEOS. IF YOU HAVE QUESTIONS, YOU'RE ALWAYS WELCOME TO EMAIL ME.